2 Beds 2 Baths 1,283 Sq. 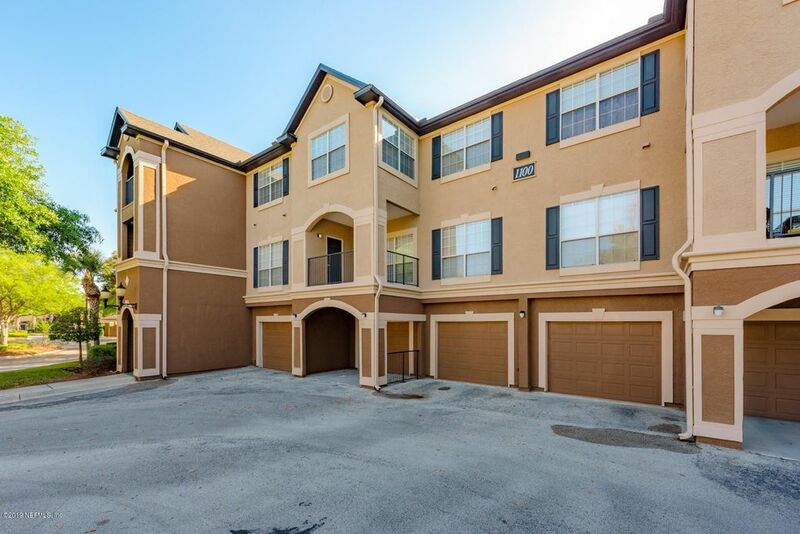 ft.
Come check out this move-in ready top floor condo w/2 bedrooms & tiled bonus room while you still can! No one above you & a few steps here & there to keep you in great shape! The fully equipped kitchen overlooks spacious living area & bonus area for home office, library or flex area! Large laundry room for more storage & washer/dryer convey w/sale. Master bedroom has walk-in closet as well as en suite bath. HVAC-2015, 1 yr home warranty $520 2-10 being offered. Complex has Envera security gate, clubhouse w/organized community social gatherings, business center, Olympic size pool, outdoor kitchen, fitness center, indoor basketball court & car wash station. Great location near UNF, St. Johns Town Center, JTB, 295, downtown & beaches! Only 1.5 miles from IKEA too! See supplement. Note - Seller can not give occupancy until June 17, 2019. Condo can not be purchased as a potential investment property. Max rental capacity is met. Buyer to verify with lender if FHA or VA eligible. Window curtains & rods do not convey. Second bedroom not pictured - currently being used for storage for moving boxes. Some of the seller's furnishings may be available for sale. Directions: JTB east, exit on to Gate Pkwy, turn left onto Gate Pkwy, then t/r onto Burnt Mill Rd, follow to complex on left. Once thru gate, stay to right, follow to building 1100 on right. Use stairs on left.